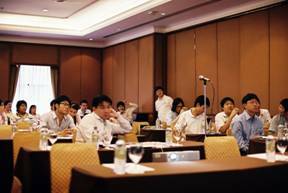 Top > List of “” > Secure Coding Seminar in C/C++ Successfully Completed! 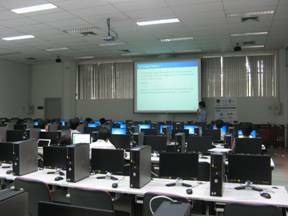 In May, JPCERT/CC sent our technical specialists to the Secure Coding Seminar in C/C++ held in 3 cities: Bangkok, Nakhon Pathom and Surabaya. The seminar provided the explanation of common programming errors in C/C++ that could lead to software vulnerabilities, how these errors can be exploited, and effective mitigation measures for preventing such errors. Special thanks to Mr. Kitisak Jirawannakool (ThaiCERT), Dr. Vasaka Visoottiviseth (Mahidol University) and Mr. IGN Mantra (Id-SIRTII) for helping make the seminars a success. 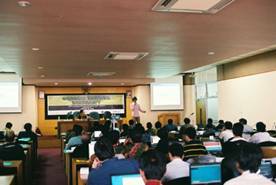 JPCERT/CC provides a variety of information security training courses for newly established CSIRT staff, potential workforce in CSIRTs and software developers across Asia and beyond. If you are interested, please contact the Global Coordination Division at JPCERT/CC.